Increased accessibility to technology and the high-pressure environment of our competitive school have led students to obsess over grades and internalize them as a part of their self- worth. An anonymous survey of 151 students in select English classes found that 59 percent of students rated grades to be a major factor in their overall happiness and 72 percent of students linked their academic success to self-worth. “Any quantifiable data on my ability is bound to affect my perception of self-worth,” junior Arman Farazdaghi said. Social studies teacher Phil Bressler said this issue is compounded by parental influence. 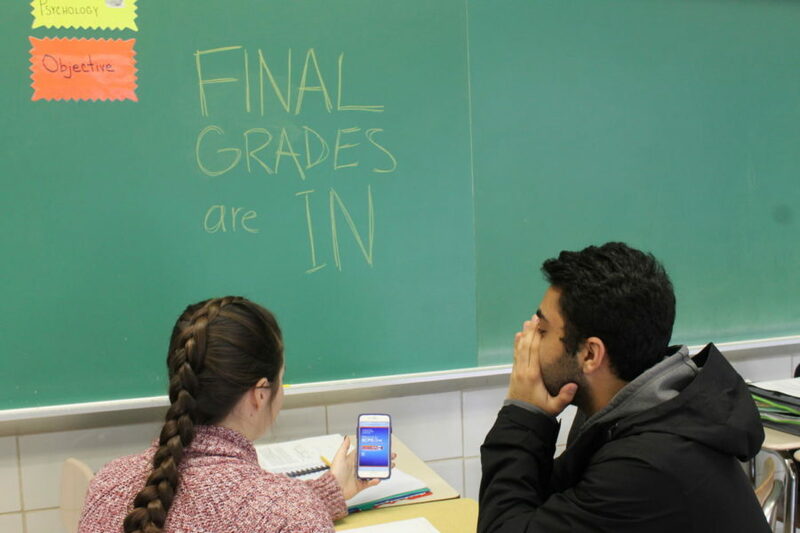 The introduction of online grading systems has allowed students to check grades more often and consequently assess their self-worth more frequently. 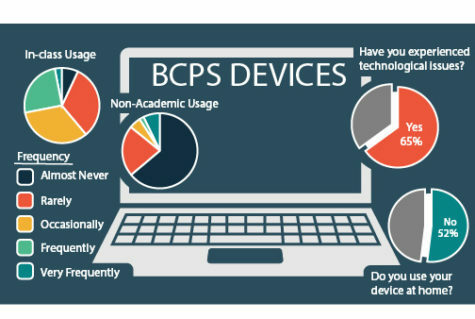 Sixty-eight percent of students said they check BCPS One either multiple times a day or daily. Students find it difficult not to obsess over grades when the school system places such emphasis on their importance. “At this point in our lives these numbers seem like what will make our future,” senior Joslyn Lapinski said. Educators have often grappled with weather or not grades should reflect mastery as well as effort. Grades have become embedded in our school system. Yet this extrinsic reward is not necessarily motivating students. A 2003 Nation Research Council study, published in Forbes magazine, found that 40 percent of high school students are chronically disengaged from school. Teachers and students speculate about teh impact of grades on motivation. “If you think about it, at a young age you were motivated without grades. I don’t think you learned to read to get an A. You were just motivated.” Bressler said. 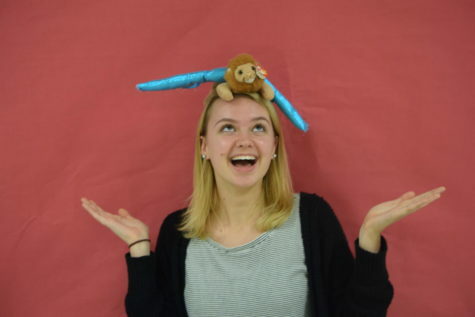 Junior Kiera McGinn said she would feel motivated to learn and grow as a student, while genuinely engaging in class material, even without grades. Senior Abhinav Khushalani said this would only be true for certain classes. 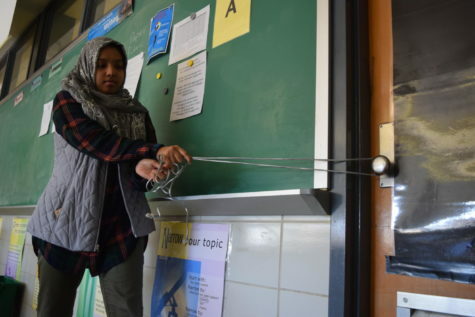 “I would be intrinsically motivated to study the things that interest me, but maybe not others,” Khushalani said. Despite animosity towards grades, students and teachers realize their importance. “If we didn’t have grades, no one would do work. 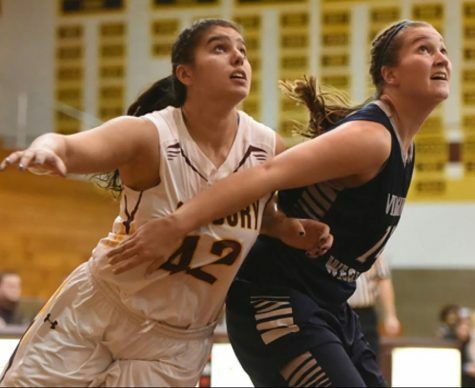 Also, the can use them to judge for college acceptance,” Lapinski said. Exacerbating student stress is the fact that a student’s transcript remains top priority in college acceptance. According to a 2016 survey conducted by the National Association for College Admission Counseling, 79.2 percentof universities consider grades highly important to admission. On the other hand, only 55.7 percent of universities placed the same importance on standardized test scores. Besides college admission purposes, math teacher Brocha Siff recognizes the other merits of students’ fixation on grades. “Kids are so obsessed with their grades, but at the end of the day they’re learning, so let them be obsessed with their grades,” Siff said.